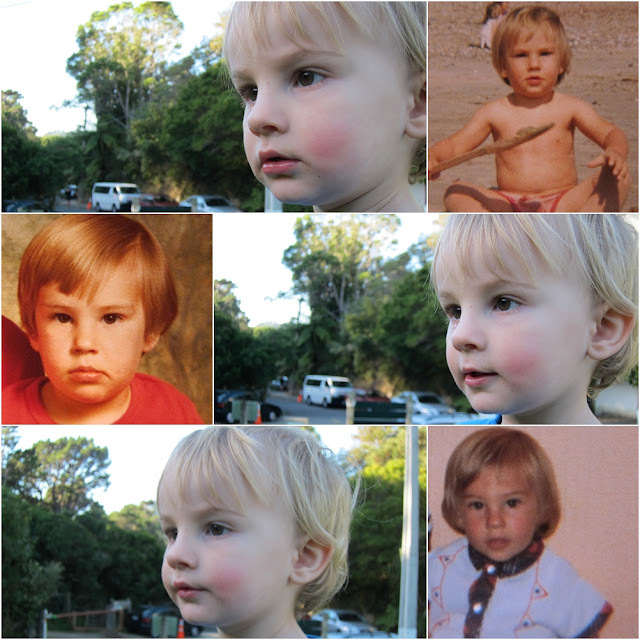 Pretty sure I won't be the only one who can spot the similarities between father and son from these pics! I can't believe that cute wee poppet grew up to be my hunk of a husband! Wow - serious similarities! No denying those genes! He certainly is his father's son! Get out!!! Thats unreal! After us getting to carry them for 9 months don't you think it's so special when they look like dad?? I for one love it! lol. This is a fun post and collage. It's almost scary how similar they are. Thanks for stopping by for WW! Have a good one. What a great collection of photos.